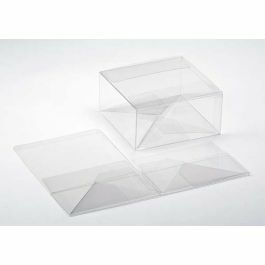 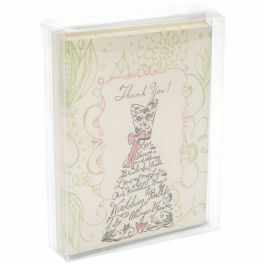 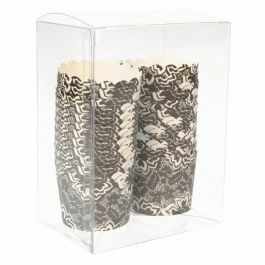 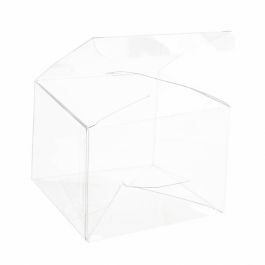 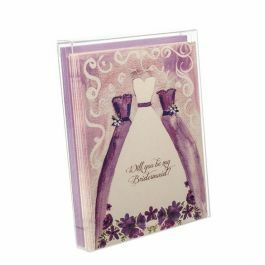 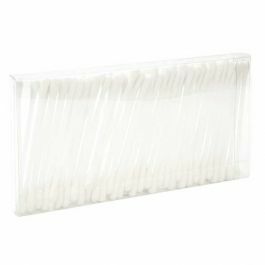 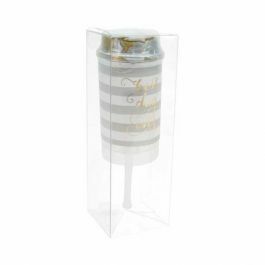 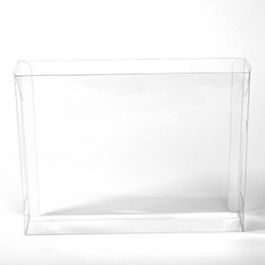 PLB74 is our 4 1/2" x 1 1/2" x 5 7/8" crystal clear box that is sized for A2, 5 1/2" Baronial envelope and card sets. 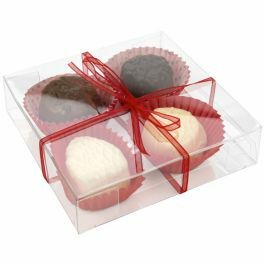 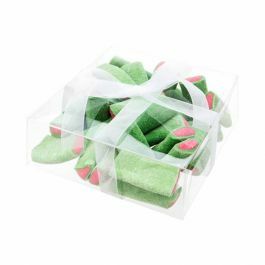 Fill this box with candies, confections, and more. 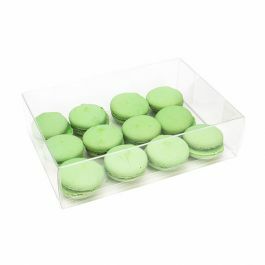 This 12 mil, PET box is food safe and features an auto-locking bottom that snaps into place. 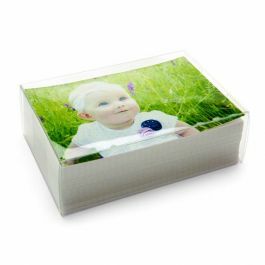 Stickers are included; to purchase additional stickers click here to see our full list of sticker options. 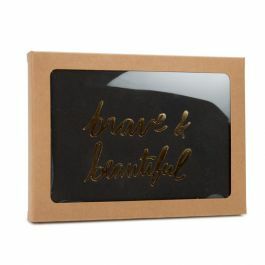 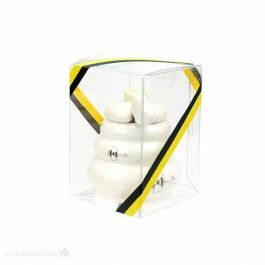 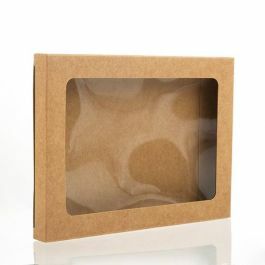 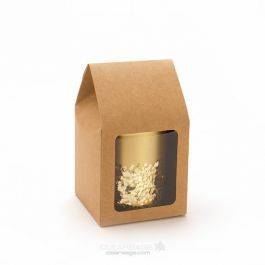 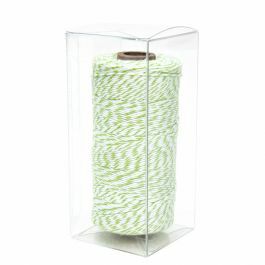 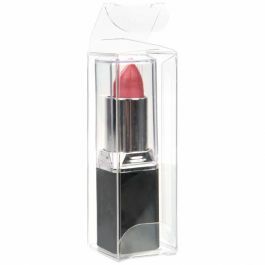 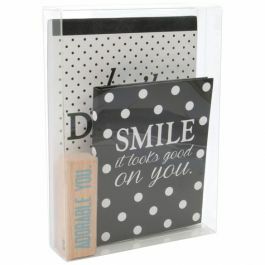 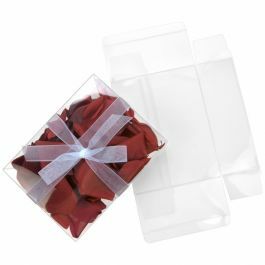 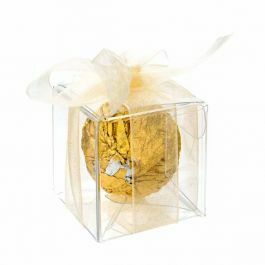 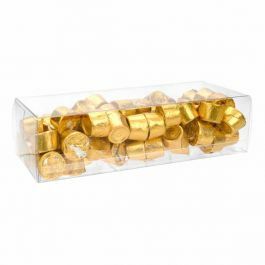 Give your retail display a boost with our crystal clear boxes. 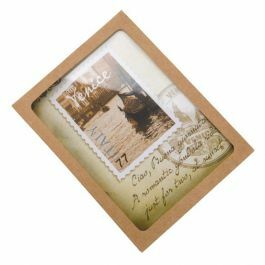 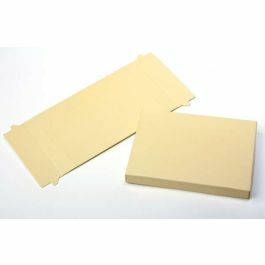 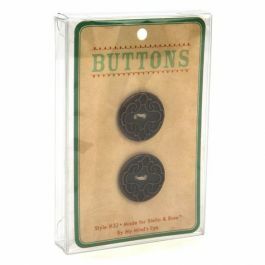 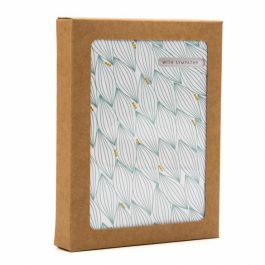 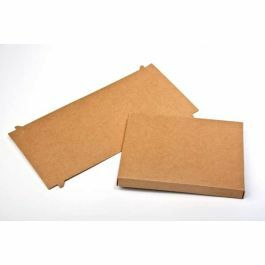 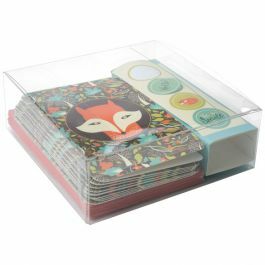 Our PLB74 box measures 4 1/2" x 1 1/2" x 5 7/8" and fits A2 size, 5 1/2 Baronial envelope and card sets. 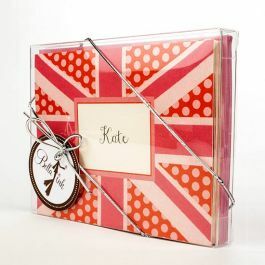 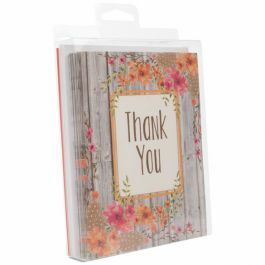 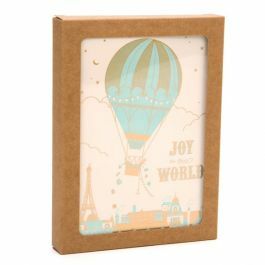 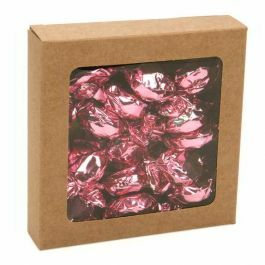 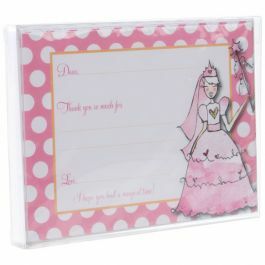 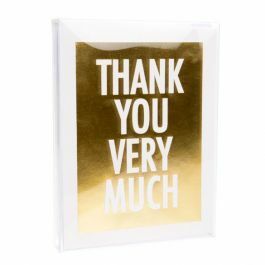 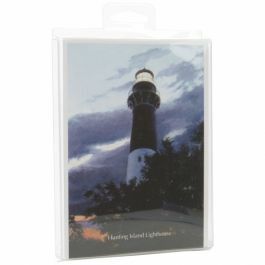 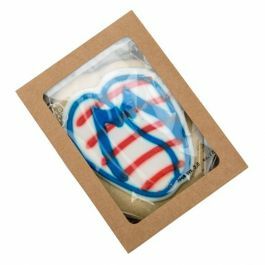 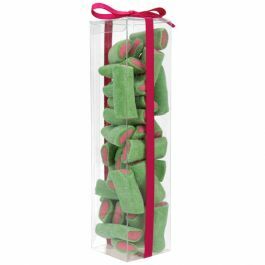 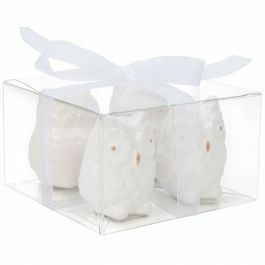 Package greeting cards, note cards as well as candies, confections, and toys. 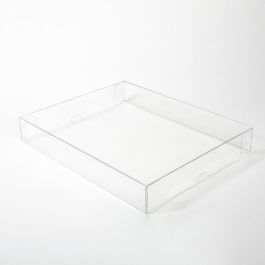 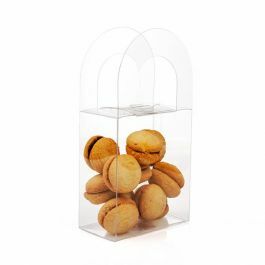 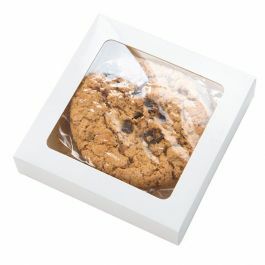 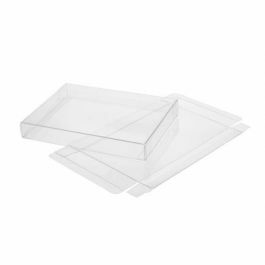 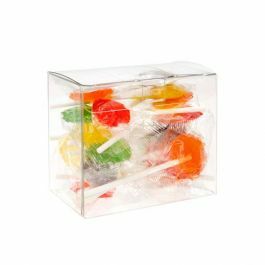 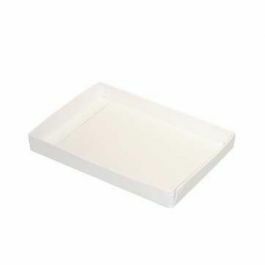 This clear plastic box is food safe and offers archival storage for photos and paper products. 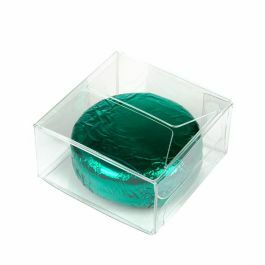 The 12 mil PET material is exceptionally clear so your products shine through. 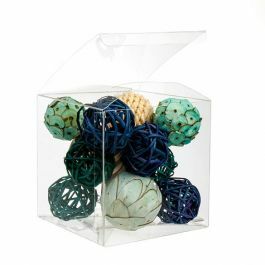 The box features our Pop & Lock design which allows the bottom of the box to automatically shape and lock into place. 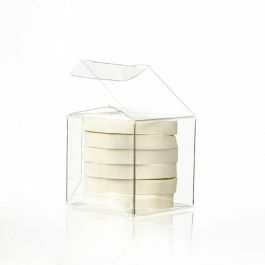 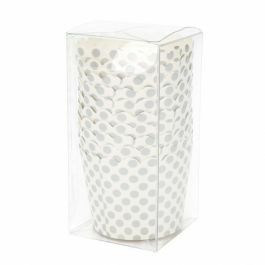 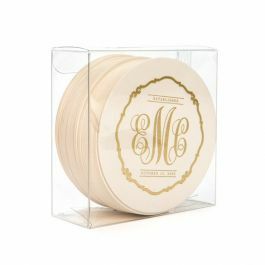 Clear round stickers are included for a more secure closure. 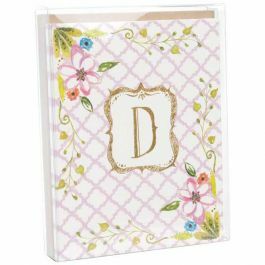 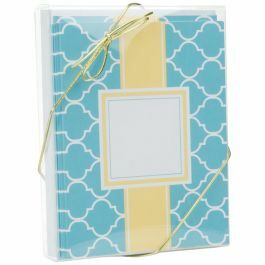 Outer Dimensions: 4 1/2" x 1 1/2" x 5 7/8"
Most popular use is for A2, 5 1/2 Baronial envelope and card sets.